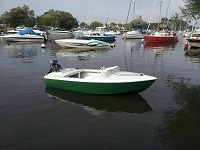 I use my 102 on a little 10ft boat and it works a treat, a guy i work with has bought a 15ft cuddy and and we were talking today about the benefits of seagulls and i said i would ask on this excellent forum to see if people thought a 102 would be suitable for his boat, mainly used for harbour and inshore fishing. Re: Would a 102 be suitable for a 15ft cuddy? I had. 102 as a back up for a Johnson 20 on a 16ft Bass type boat for inshore fishing. Once when the Johnson decided it didn't want to play the old seagull pushed me back no troubles. I have used both a Century and a Silver Century on a 21' sailboat with cabin it displaced about 1 tonne. Would travel out of the harbour about 3 mi. to a fishing spot, fish a tide then head back. Current against going out and coming back, it was about a 45-50 min. trip each way. This is without sails up. So it should be fine assuming you do not want to go very fast. Thank you, speed not that important to him, he just wants to pootle around in it and a 102 would save a small fortune compared to a 25hp modern jap engine.